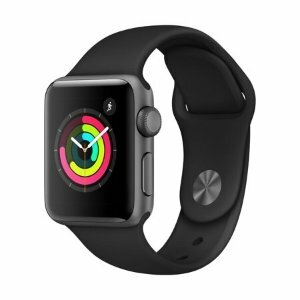 Walmart offers the Apple Watch Series 3 GPS (38mm) + extra band for $259. Features: Measure your workouts, from running and cycling to high-intensity interval training. Track and share your daily activity, and get the motivation you need to hit your goals. Better manage everyday stress and monitor your heart rate more effectively. Automatically sync your favorite playlists (1). And stay connected to the people and info you care about most.